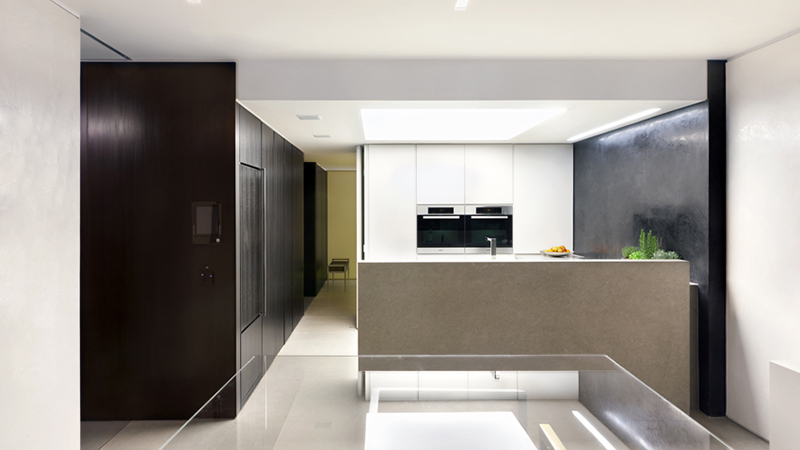 Working with one of London’s leading design studios, 1508 London, What You See And Hear were asked to complement the innovative interior designs with reliable, simple-to-use audio-visual and lighting control systems. 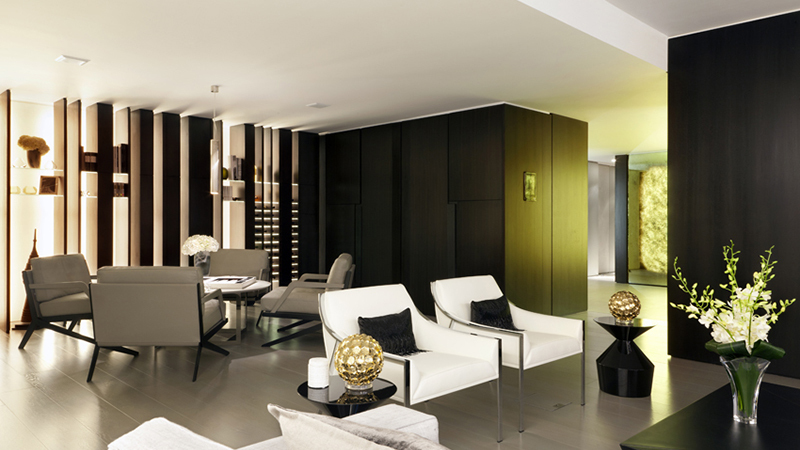 This two-bedroomed apartment was located in one of London’s most exclusive developments and the property was bought with the sole intention of redeveloping it to the very highest standards possible to ensure the maximum return on investment. In order to offer the homeowner a familiar, easy to understand interface, we developed a control solution utilising Apple iPads as most people are very comfortable with this front end. The iPads were stored in motorised in-wall docking stations that charged them whilst ensuring that the user always knew where to find them! 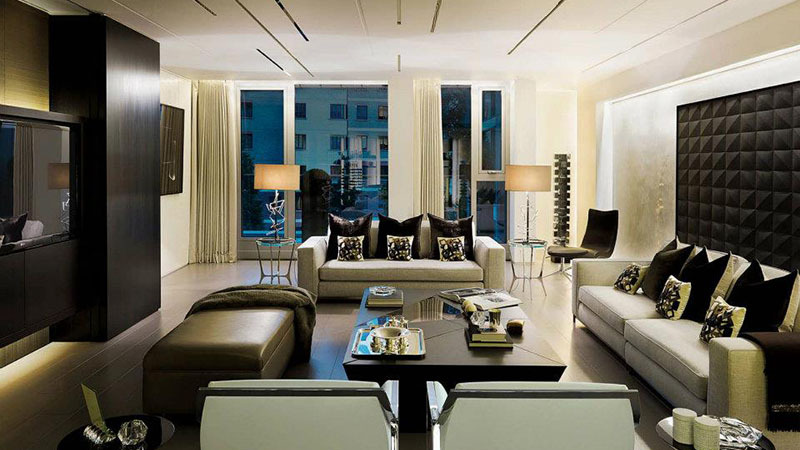 The systems were designed utilising the most appropriate products from a small range of manufacturers, including Sonos, Crestron and Linn. 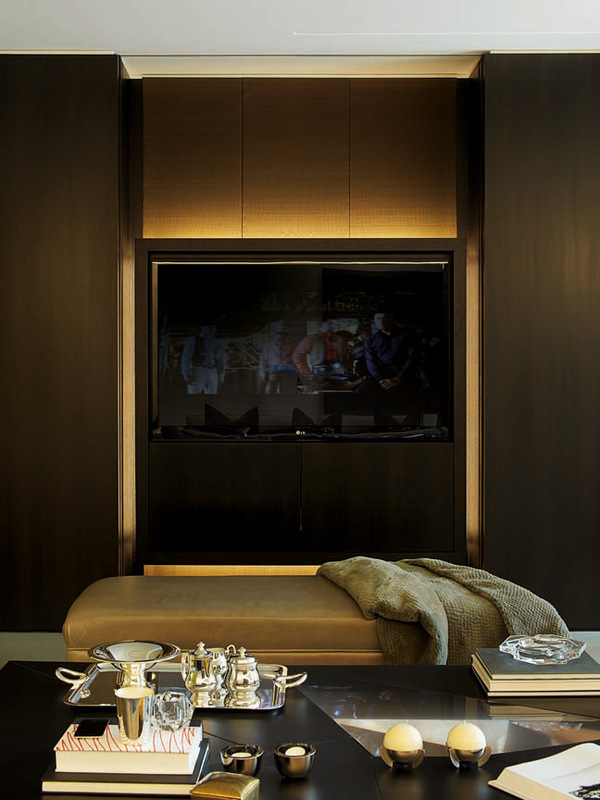 In order to satisfy 1508 London’s exacting requirements for discrete audio playback, all of the key rooms utilised plaster-in speakers and motorised mechanisms to conceal the TVs, meaning that nothing at all was visible when not in use. The demands on the lighting control design were considerable due to a large number of LED loads, 0-10 volt ballasts and DMX-controlled lightwalls. Once extensive final programming was finished, the results were quite staggering and really brought out the very best for the property.